MOCK exam celebrations have been enjoyed by Felpham Community College students. 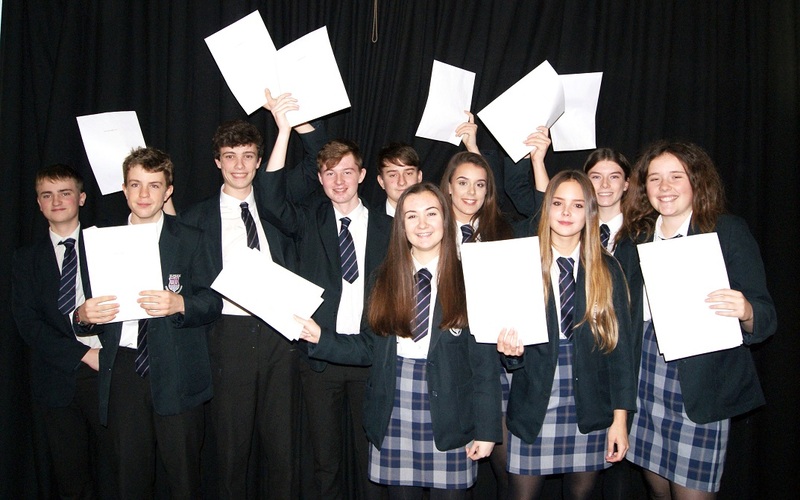 The GCSE results presentation for the trial tests was held by the college to enjoy the hard work they had put in to get to that stage and motivate them for the final two terms before they sit the exams for real this summer. Students were nervous before the presentation ceremony and were about to open their results with the support of their form tutors, year leader and year manager. Interim reports went home the same day, last Wednesday, to their parents. The final Year 11 consultation evening took place the next night for parents to have the chance to raise any questions. The combination of the events proved a valuable opportunity for students, teachers and parents to identify areas for students to work on and motivate them for the final run-up to their GCSEs. Tom James, the college’s Year 11 leader, said: “We wanted to make Year 11 students aware of how little time they have left to complete their GCSE education – only 70 school days left until exam season officially starts! “Mixed emotions have been on show at the presentation. We want all students to use the mocks as an opportunity to identify what they now need to focus on. “We made the presentation ceremony, and the exams, as ‘real’ as possible to give students the final support and push they need to achieve the best they can. The mock exams took place at the end of last term. Preparations started last October. These included after-school revision sessions and at home revision programmes. Teachers wanted students to experience exactly what the fast approaching summer GCSE exam season would be like and the level and effort students would be expected to complete. The pupils planned, revised and worked hard. All exams were completed in strict exam conditions, with the exam timetables being distributed to parents and students in November. One of the students involved was Maisie Rishman, of Year 11. She said: “I did a lot of revision for the exams. The after-school revision sessions are good at school as they bite-size different topics each week. I passed all subjects. My maths grade is much better than I thought it would be, which is great. Her fellow student, Tierney Cox, also in Year 11, said: “I got a 9 for psychology which I am really pleased with and 7s and 6s for everything else, which is good.